Eating healthy is something I try to incorporate into my lifestyle. Don’t get me wrong, I occasionally indulge in sweets and I have a huge weakness for Baked By Melissa. If you haven’t had BBM, you need to get yourself to NYC now to try them. But today’s post is about eating healthy. Eating healthy doesn’t have to be torturous. In fact, coming up with delicious yet healthy options to eat is pretty fun. And when you find something delicious and healthy to eat, you feel better all day. Plus, eating healthy will help you to loose a few pounds, give you more energy, and keep you focused all day long. Below is a bunch of delicious yet very healthy foods to check out. 1. 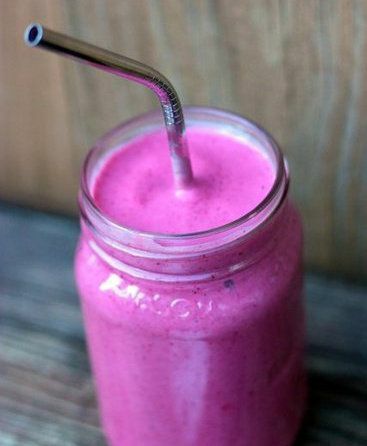 Smoothies: smoothies are a very delicious and healthy snack. I got hooked on fruit smoothies because they serve them in my college’s cafeteria. 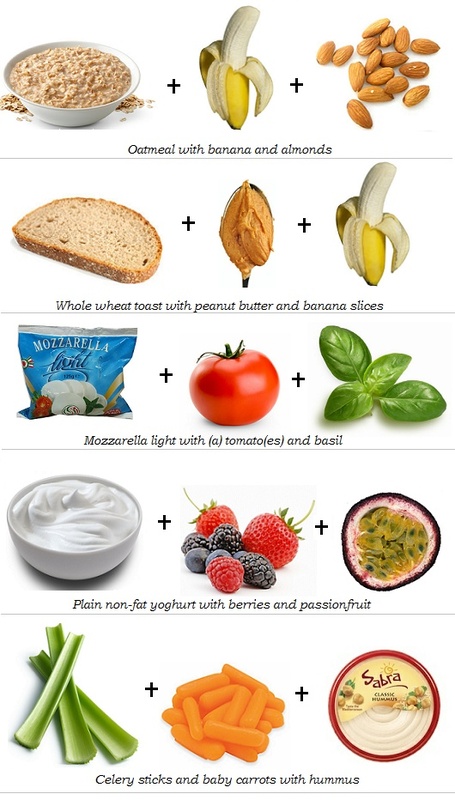 Coming up with yummy combos is half the fun but if you don’t quite trust yourself, here are some recipes that are amazing. Greek Yogurt Blackberry Smoothie Recipe: 1 cup fresh blackberries, 1/2 frozen banana, 1 6-ounce container of plain nonfat/low-fat Greek yogurt, 4 cubes of ice, 1/2–3/4 cup unsweetened almond milk. Apple Banana Cinnamon Smoothie Recipe: (This smoothie packs major protein, fiber, calcium, and vitamins to get your day off to a good start.) 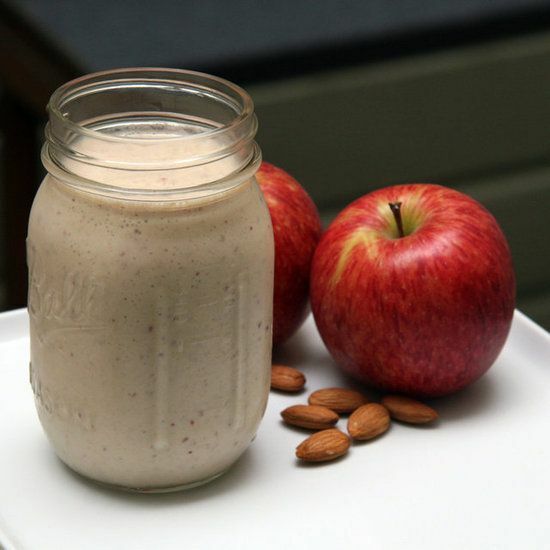 5 raw almonds, 1 red apple, 1 banana, 3/4 cup nonfat Greek yogurt, 1/2 cup nonfat milk, and 1/4 teaspoon cinnamon. 2. 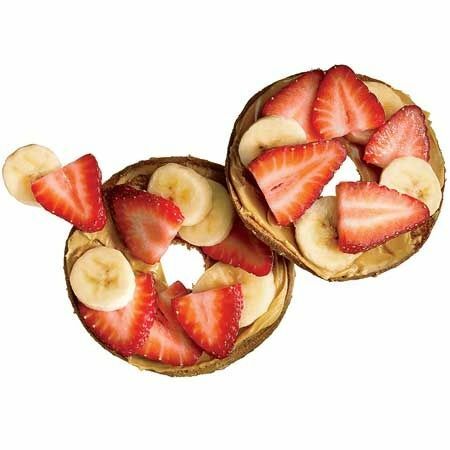 The best breakfast ever: a whole wheat bagel (or flagel) with peanut butter topped with bananas and strawberries. This is the perfect mix of sweet and savory. It fills you up, plus it gives you a lot of protein and energy for the rest of the day. In my opinion, the more fruit the better. 4. Below is an idea of a truly balanced lunch: The celery and carrots are a good way of getting your veggie intake up and grilled chicken will give you tons of protein. 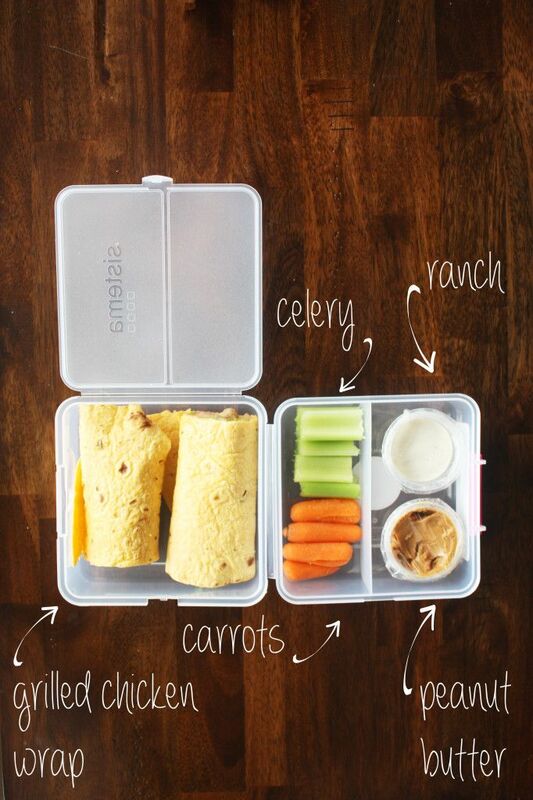 This is a good lunch for someone who has to bring their food on-the-go or to work. 5. For dinner, I love either soup + half of a sandwich or a great, big salad. The best place for this is Hale & Hearty. 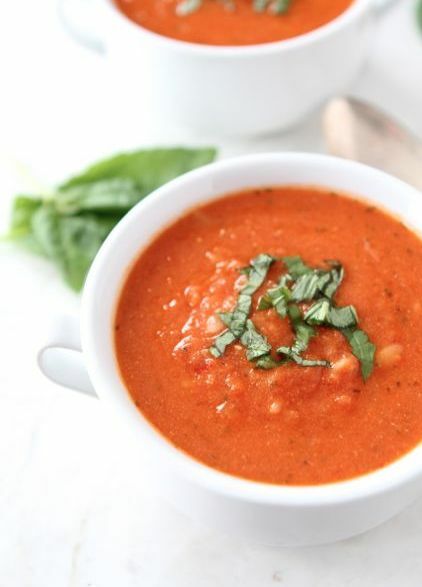 Below is tomato soup. When you add half of a turkey or chicken sandwich on the side of your soup, it can become a pretty healthy and filling dinner. 6. Healthy Detox Drink: I just learned about this drink. 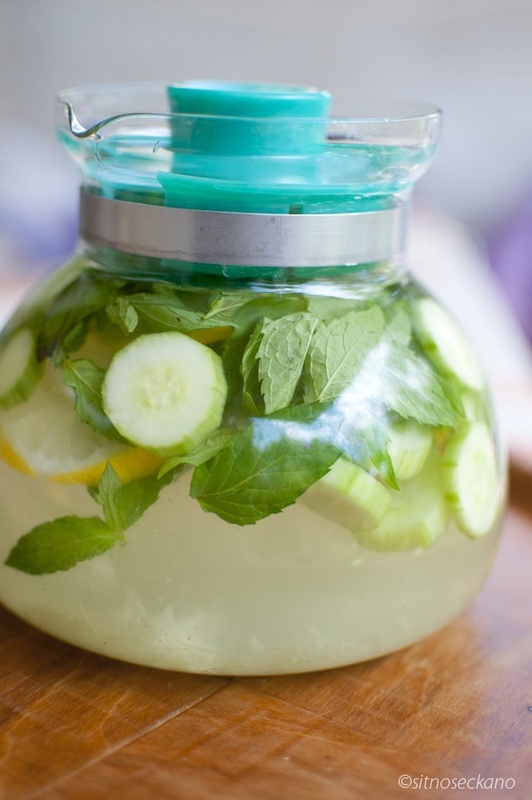 You can use it to boost weight loss – 2L water, 1 medium cucumber, 1 lemon, 10-12 mint leaves. You leave it overnight in the fridge and drink it daily. Also great for clear skin! I hope these helped to give you some ideas about healthy foods to try and at the very least- I hope this post encouraged you to try to be healthier today. P.S. 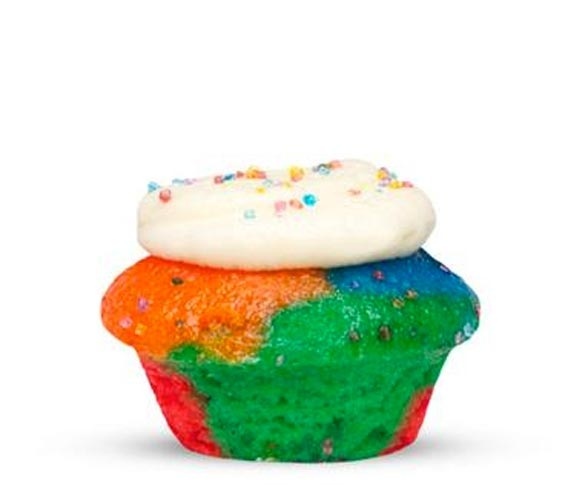 Below is my favorite Baked By Melissa cupcake: Tie-Dye.